Radiant Water | It's Good For Life! Radiant Water ...It's good for life! According to the water quality research council, the average family spends over $50 a month on these and other “hidden” hard water costs; costs which are eliminated when you install and American Eagle Supreme Water System. Hard water results from high levels of calcium and magnesium in your water supply. It is the most common water problem in the United States. 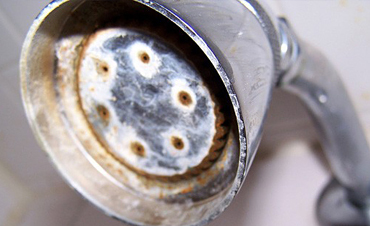 Hard untreated water wastes your money every time you turn on the tap. Hard water requires 50% more dishwashing soap, 75% more toilet soap, and 90% more laundry soap than the same jobs using conditioned water. Hard untreated water leaves damaging residue in faucets, pipes, washing machines, water heaters and other appliances, decreasing their efficiency and operating life. Hard water deposits collect in your clothing, dulling the colors and shortening the fabric life.The Water Quality Research Council states that the average family spends over $50 a month on these and other “hidden” hard water costs- costs which are eliminated when you install and American Eagle Supreme Water System. Looking and feeling your best for less! Installing a Radiant Water Whole House Water System adds up to more savings for you. According to the Water Quality Research Council, the average family using hard water spends over $50 a month on hidden laundry, dishwashing, and clothing costs. Radiant Water turns hard water's hidden costs into savings for you! Every household and every factory uses water. And none of it is pure. One class of impurity that is of special interest is "hardness". This refers to the presence of dissolved ions, mainly of calcium Ca2+ and magnesium Mg2+ which are acquired through contact with rocks and sediments in the environment. The positive electrical charges of these ions are balanced by the presence of anions (negative ions), of which bicarbonate HCO3- and carbonate CO32- are most important. These ions have their origins in limestone sediments and also from carbon dioxide which is present in all waters exposed to the atmosphere and especially in ground waters. 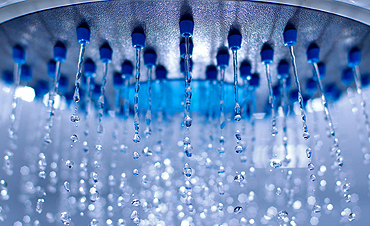 A water softener reduces the calcium or magnesium ion concentration in hard water. These "hardness ions" cause three major kinds of problems. The metal ions react with soaps and calcium sensitive detergents, hindering their ability to lather properly and forming an unsightly precipitate— the familiar scum or "bathtub ring". Presence of "hardness ions" also inhibits the cleaning effect of detergent formulations. More seriously, calcium and magnesium carbonates tend to adhere to the surfaces of pipes and heat exchanger surfaces. The resulting scale build-up can restrict water flow in pipes. In boilers, the deposits act as thermal insulation that impedes the flow of heat into the water; this not only reduces heating efficiency, but allows the metal to overheat which, in a pressurized system, can lead to failure. The presence of ions in an electrolyte can also lead to galvanic corrosion, in which one metal will preferentially corrode when in contact with another type of metal. The use of water softeners can aggravate this and cause sacrificial anodes in hot water heaters to corrode more quickly. Conventional water-softening devices intended for household use depend on an ion-exchange resin in which "hardness" ions trade places with sodium ions that are electrostatically bound to the anionic functional groups of the polymeric resin. A class of minerals known as zeolites also exhibits ion-exchange properties; these minerals were widely used in earlier water softeners. Water softeners are typically used when water is supplied from wells. Public water systems are also very susceptible to hard water. The water to be treated passes through a bed of the resin. Negatively-charged resins absorb and bind metal ions, which are always positively charged. The resins initially contain univalent sodium or potassium ions, which exchange with divalent calcium and magnesium ions in the water. This exchange eliminates precipitation and soap scum formation. As the water passes through both kinds of resin, the hardness ions replace the sodium or potassium ions which are released into the water. The "harder" the water, the more sodium or potassium ions are released from the resin and into the water. Improves complexion irritated by harsh hard water minerals. Adds luster and beauty to your hair. Fresh tasting, odor free water for drinking, coffee and other beverages. 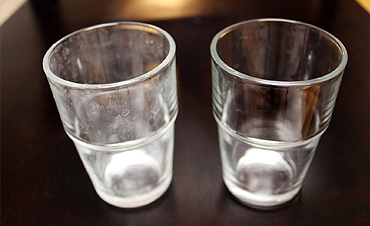 Keeps glassware and dishes sparkling free from unsightly water deposits. Preserves nutritional value of foods lost with hard water. Keeps clothing and linens bright and new looking longer.